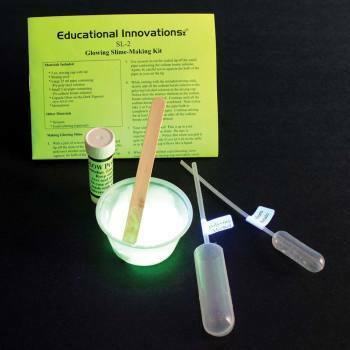 Instant Light Powder, New Products: Educational Innovations, Inc. Strict adult supervision required. We will only ship to teachers at their school address. 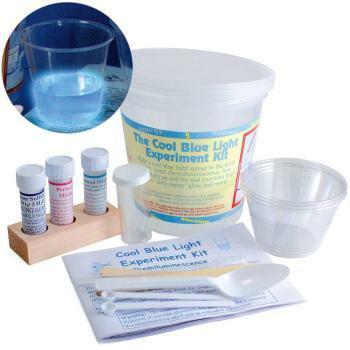 Add Instant Light Powder to a beaker of distilled water and get ready to say, "Cool!" 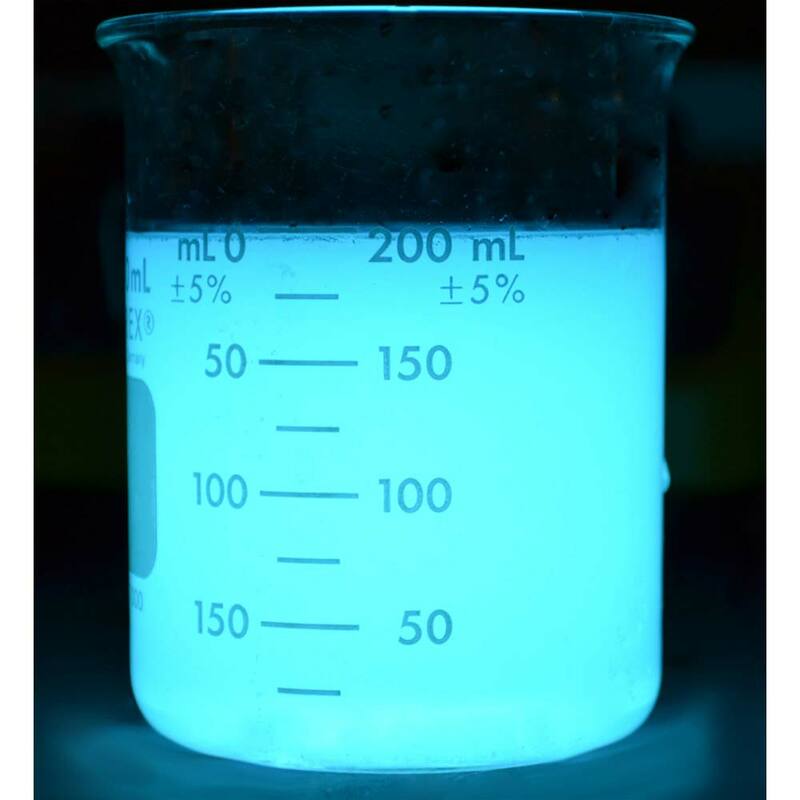 While many chemical reactions that emit light are exothermic (generating heat), this powder produces a "cool" blue light. The amount of heat generated, if any, is extremely miniscule. What causes the light? That's the fascinating part of this demo. Luminol is one of the components of the instant light powder. As the luminol reacts with an oxidizer, its molecules enter an excited state. As they return to a non-excited (ground) state, their energy is emitted as light. When added to water, the sodium perborate in the instant light powder produces hydrogen peroxide and serves as the oxidizer. 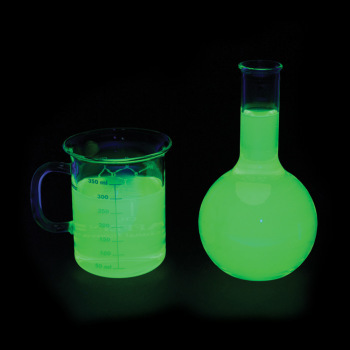 This awesome chemiluminescence kit includes 20 mg of Instant Light Powder - enough for five demonstrations - and instruction booklet with SDS/MSDS sheet. NOTE: Strict adult supervision required. We will only ship to teachers at their school address. The Instant Light Powder is best used as a demo for Middle or High school students. Students at the Middle School level have the learning expectations of what stays the same and what changes in a chemical reaction. Students at High School Level have the learning expectations to understand and make predictions about chemical reactions, including rates of reactions and energy changes. 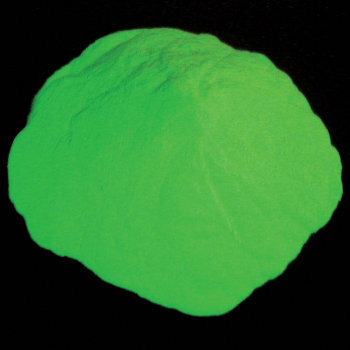 The Instant Light Powder can be used to demonstrate such happening for students to work on.